It went wonderful and we have had so many nice comments on it. Thank you guys for a wonderful time and the wonderful service!! Kansas has become a real home to us. Holiday party season and warm weather season have us bringing so much FUN to Kansas, we have set up shop in the area. Here are some highlights from a few of our shows there over the past year or so. Included in the cities that love Fun Pianos Dueling Pianos: Wichita, Seneca, Hiawatha, Hays, Marysville, Manhattan, Hutchinson, Hill City, Chanute, Salina, Goodland, and Arkansas City. I just want to say thank you for all your help! The event was amazing, everyone had such a great time! The event went so well that people didn’t want to leave after just two hours! All I can say is WOW, these guys blew this town away with their performance! This performance far exceeded my expectations of the evening! The community is still talking about the event!! We had so much fun and your performers were amazing. Thank you so much for working with us for this. We are so thankful it worked out because our staff and students really enjoyed it along with having a pretty good attendance! The show was great! I have heard very good things about it and sounds that everyone enjoyed it! Amazing! Fantastic! We love those guys and the crowd told us we should have hired them for 3 hours. Huge success….thank you all so much! We had a blast last night at our event. The performers were amazing. It was a great fundraiser for our group. We will be contacting you next year to book a date. The party was fantastic and the players were amazing. It was awesome as always! Yes! Definitely only heard great things about it! Heard a lot people say they would love for it to happen next year! Everything was FLAWLESS!!!! We had a blast as did our guests. It was like a club on the dance floor. I would definitely hire Sam and team again. It was a FANTASTIC!!! We had a wonderful time, and the performers were amazing entertainers and it was really just a great experience! Ya’ll were so easy to work with and I am so excited we were able to pull this off!! Thank you!! Sunday evening was awesome! I have received so many compliments on the entertainment. Thanks again!!! the Municipal Hall in Anthony KS on Friday February 23, 2018 for their annual fundraiser! The Hill City Area Chamber of Commerce brings the Fun Pianos dueling pianos show to Hill City KS on Sunday January 28, 2018! We are excited to come to the Hilton Garden Inn in Salina KS to be with Bergkamp’s 40th Anniversary holiday party’s private event! 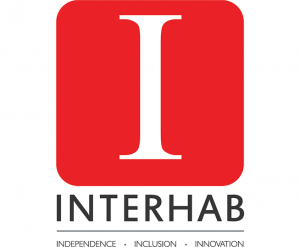 The folks at Interhab sure know how to give their employees a fun break at a conference! They brought in the Fun Pianos dueling pianos to Topeka KS at the Capitol Plaza – Maner Conference Center (who were also great hosts!). This group took a Thursday night and made it a party of singing, laughing and dancing. Thank you for having us! 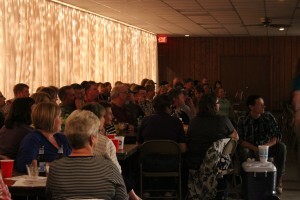 The NW Kansas Tech fundraiser was even more fun the second year! Thank you so much for having us back in Goodland Kansas! 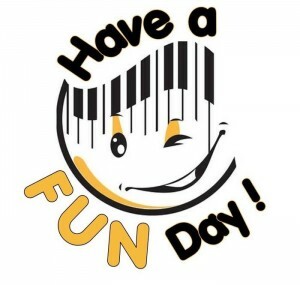 Dueling pianos by Fun Pianos is always FUN! I just want you to know that the players did a phenomenal job this weekend at our themed fundraiser. Everything was perfect with the performance, and this was the best performance I feel that we have had in the last 3 years. The music was all relevant to the theme, and the activities they threw in were spot-on! We have received nothing but positive comments from those that attended. Fun Pianos dueling pianos returns to Great Bend KS for their annual Argonne All-Star fundraiser! This year will be an 80s – 90s theme! Many thanks to the folks in Kingman KS for showing us a great time on 8/26/17! The Meridian Center in Newton Kansas has been great to us for 4 years! The people of Newton have really embraced us, and we are proud to be a part of their summer FUN! This venue is one of the best we’ve seen anywhere in the country, we have done a few corporate-type events here and a wedding. First class all the way! 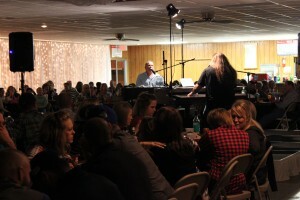 Thank you so much for having the Fun Pianos dueling pianos show in Newton Kansas AGAIN! 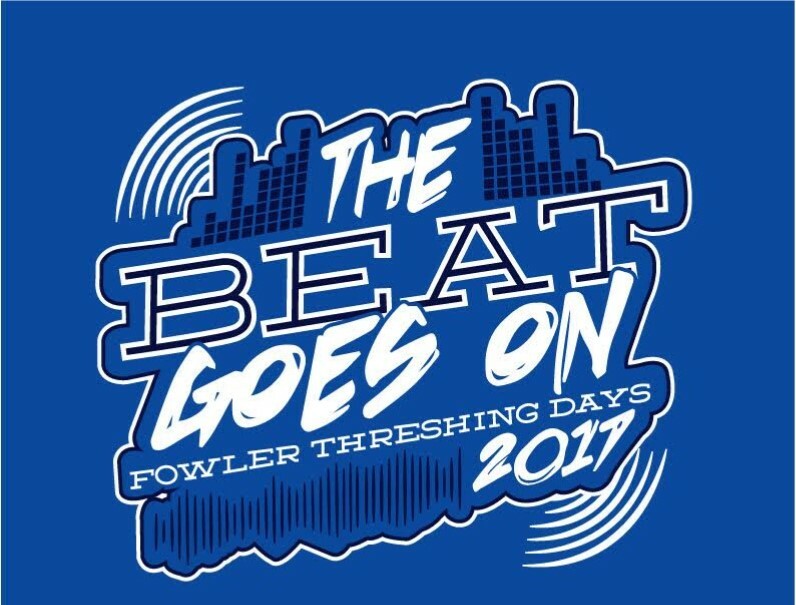 My oh my, what a great time we had with the fine and fun folks in Fowler Kansas with their Fowler Threshing Days! We brought our Fun Pianos dueling pianos show to a Fowler heavy rainstorm. No problem! The show got moved indoors to a state-of-the-art theatre. This theatre was a real hidden gem! Great seats, up-to-date technology…I hope they get many more terrific acts to come through! 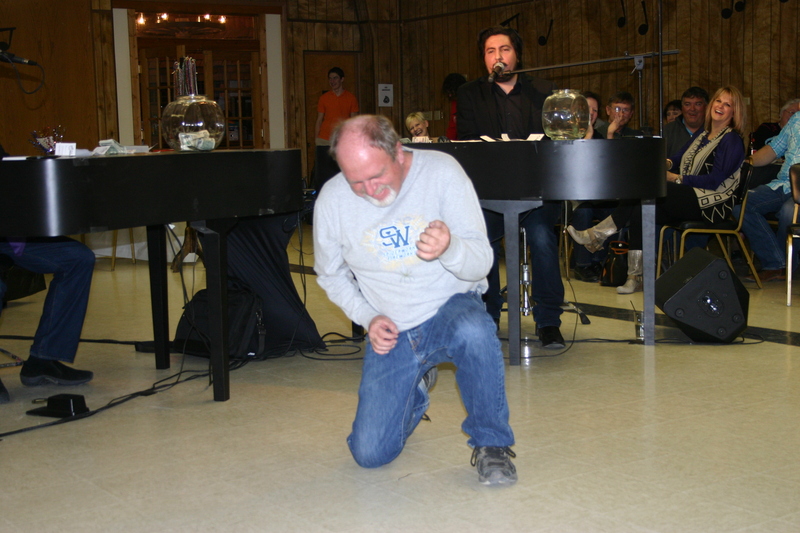 Fun Pianos dueling pianos show brought a lot of life to Fowler Threshing Days and our community members continue to talk about how much fun they had! I have heard from many people stating “Fun Pianos is the best thing that has ever came to Fowler.” I can’t agree with them more. 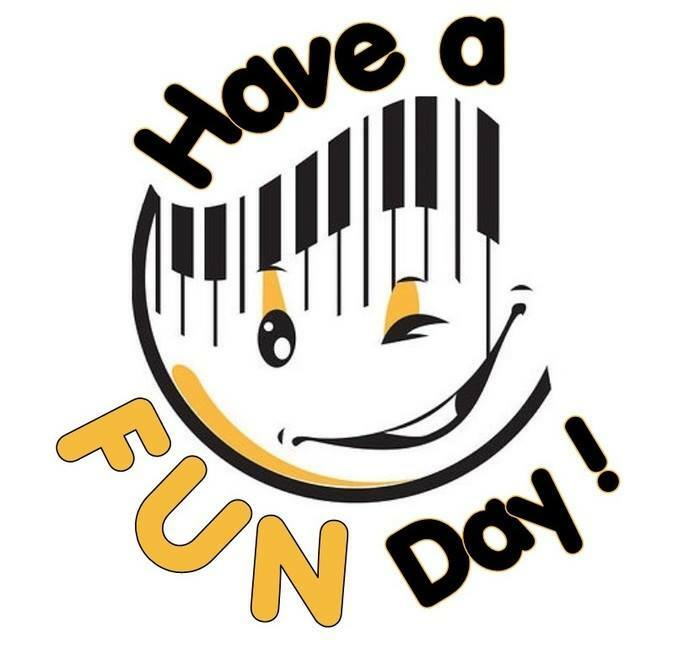 If you are looking for a great time Fun Pianos will make it happen. They are excellent to work with, we had to relocate our performance due to rain and they still got the place rocking! From kids to adults Fowler can’t wait until Fun Pianos get to come back and visit again! I look forward to working with you all in the future! 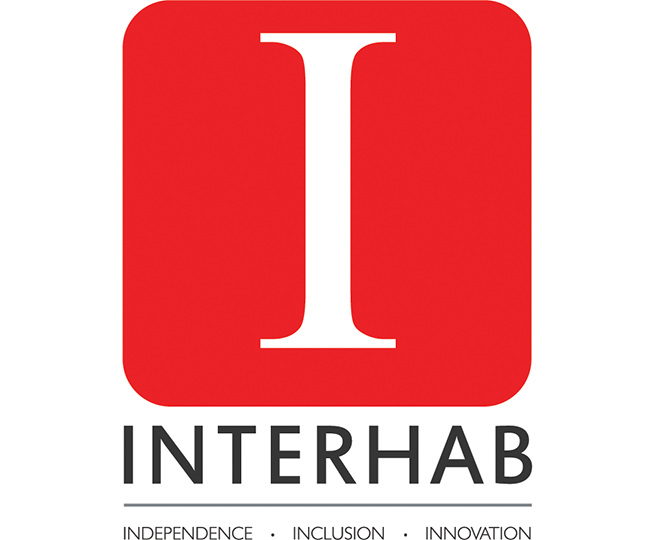 We are proud to announce a return engagement with Interhab on October 26, 2017 in Topeka KS. Dueling Pianos provided by Fun Pianos is a proven hit, as these folks from Kansas will tell you! Nice write-up here by the folks at The Newton Kansan about our Fun Pianos dueling pianos show in Newton KS at The Meridian Center this July 14. 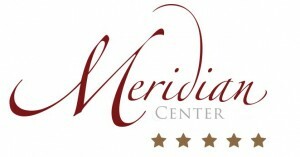 We’ve done several shows here, and this is a great place to book a wedding, corporate event, etc. It was fantastic. Thanks for helping make our event a success. Fun Pianos are amazing! I cannot thank them enough for helping The American Cancer Society raise money to help in the fight against cancer. Sam and Katie have so much energy and really got everyone involved. Fun Pianos was such a pleasure to work with , Amy is amazing! I can’t wait to do it again! Thank you so much! It went great! We had a lot of fun. The players did a fantastic job! It was a blast!!!! Everyone had such a good time – The players were great!! We will definitely be using you guys again! Merry Christmas!! In fact on the other day, we had a maintenance employee ask to join the ERT as he had heard how much fun the banquet was. The show & party were wonderful – the guys did a great job & we all got into it and had a blast! Thanks again & HAPPY HOLIDAYS! It was incredible!!!! The guys rocked!!!!!!!!!!!!!!! I want to schedule again for next year. Thanks for checking in, the party was FANtabulous! We really had a great time. They were a pleasure to have, and the entertainment was over the top! We loved it! Everyone had such a great time. The players, Steve and Jeff, did a great job of keeping the crowd engaged and entertained. We will defiantly be having 176 Keys Fun Pianos come back next year to make this an annual fundraiser/event for our cheer squad. Our fundraiser was a success. My only regret was not adding an additional hour! A must for next year. We love to throw Holiday Parties and it is never too early to get yours booked! Dueling pianos is the best entertainment available for any company or corporate event… especially a party! Get a hold of us now to get your event booked. It was just great! I already knew that everyone would love Fun Pianos. The players are such pros and knew exactly how to read the audience – timing and material were perfect! My goal was for the entertainment at this conference to be the talk of the region afterward … mission accomplished! Many thanks to the players for an outstanding show and to you for all your help behind the scenes to put it together! It went WONDERFUL!!! The guys were awesome and it will be very hard to top this event. I am still getting compliments on the event. Our party turned out great! As always, your company never disappoints! It’s truly a pleasure to work with you guys from the beginning of the process to the end. I would recommend your company anytime, and have done so in the past. The show was great and many people have been letting us know how much fun they had. The show was spectacular. The day was perfect and I couldn’t have asked for a better wedding/reception! We got rave reviews about the pianos!! Thanks for everything! At our annual convention we have utilized bands, DJ’s, comedians, and even a hypnotist. This year it was our 50th celebration, and we wanted something unique and special. The guys from 176 Keys were amazing. We surveyed our membership and nearly everyone rated them 5 out of 5 stars. I laughed so hard I was sore the next day! It was GREAT! Our clients loved it, we’ve even received cards in the mail saying how good it was and how much fun they had! The players did a great job getting our guests to participate in the show. Ours is a senior group so to see them singing and dancing was really fun! Thanks so much for all your help! We really appreciate how easy of a process all this was. We will definitely keep you in mind for future events! WONDERFUL!!!!!!!!!!! I had so many people tell me this was the BEST Christmas party ever! The guys were amazing! Thank you, thank you, thank you! I would like to thank 176 Keys Fun Pianos for performing at our Special Needs fundraiser, I know everyone had a blast. You got everyone involved and on their feet, we are hoping to have you back next year! Nearly two weeks after our Fox Theatre fundraiser, Newton, KS is still buzzing about the energy and talents of 176 Keys! With a gloomy economy and the daily ugliness that peppers the news, 176 Keys’ fresh and fun performance was, indeed, music for the soul. The twin talents of the players lay the foundation for a musically excellent performance. Their warm personalities and ability to read our audience created an ambiance in which everyone felt connected. Even our proverbial community ‘stuffed shirts’ were loose and having a blast! Thank you. I have now worked with 176 Keys at our son’s wedding reception and at a public event. In addition to being excellent performers, they are professional, dependable, classy. We already look forward to an opportunity to connect with Sam and 176 Keys again! Everything went great! The guys did a really good job of getting everyone involved! The whole night just flew by, which I guess is what normally happens at your wedding. Thank you for all your help with everything! Everything was a wonderful success!! The CEO personally thanked me for outdoing myself this year with the entertainment!! The guys were a huge hit!! Both were so accommodating and worked so hard to get everyone involved. I couldn’t have asked for a better performance! I took a hand full of business cards and will so be passing them out to my colleagues! Thank you again for a wonderful experience! It was great. Everyone at the party had a wonderful time. The guys did a fantastic job. They judged the crowd and played within our comedy zone perfectly… not too clean and not too dirty. I have had many people say that it was the best company party ever! Thank you for making our wedding reception a blast! We know the acoustics were a challenge, but we think you guys did a great job! Having you all there made our wedding unique and oh so fun, not to mention very memorable! Wow – they were terrific! Very prompt, informative and easy to work with. Could not be more fun & pleasant to have for our fundraiser. Everyone in Chanute loved them. I just wanted you to know that from what I am hearing around here everyone had a great time Saturday night! People are constantly coming by my desk to say they had so much fun! You guys made those of us who planned the ‘End-of-the-year’ party look really good.